Proper maintenance has evolved far beyond the “screwdriver and a wrench” days of our youth. Our service technicians are factory trained with the appropriate diagnostic software and specialized tools to do the job. They are adept at translating a customer’s description of a problem into a diagnosis that can be quickly dealt with. Our technicians love what they do and like helping people enjoy their boats. What's New At Walkers Point Marina? 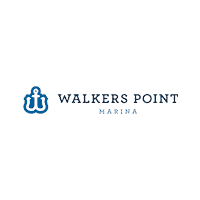 Walkers Point Marina opened in 1979 with one goal in mind… to provide the highest quality in everything we offer. As of 2018, the Dunn family has passed the torch onto the Palladino Auto Group, a successful and rapidly expanding automotive and recreational equipment group based out of Sudbury Ontario. Under the guidance of newly appointed General Manager, Todd Crowder, Walkers Point Marina will continue to explore new and value-added services from expanded product lines and growth in the retail shop for all your water sports and lifestyle needs!